My dear friend, Karen Taylor Bass has launched her new book! I'm so proud of her - and I'm glad I could contribute a chapter to it on book publicity. This book is the "nuts and bolts" of how to run your own PR campaign - on a budget. The economy is bad, however, now is the BEST time to become an entrepreneur. Build your brand, know your niche, have a plan and most importantly, know how to get FREE PR to build a successful brand and get noticed. Here are a several signature steps to separate your BRAND and MISSION from the COMPETITION. 1) Be prepared. Success can smell success. Have that look about you, dress appropriately, and have your message on hand to deliver the pitch and close the deal. If you believe in your product others will come to the party in a matter of time. 2) Reputation is everything. Let you work and rep speak for you. If you give your word, honor it. Don't commit if you cannot meet deadline - people always remember the screw up. 3) Be outspoken. If you don't agree with someone's agenda or how they are positioning your product speak up. Being amenable to everything will not garner fans, only enemies down the line. 4) Be well rounded. Make certain that you are always briefed on current events; this will empower you to have a conversation with any CEO, mogul or average Joe. 5) Be proactive. If there is someone that you want to get in contact with - reach out. Write a letter, send an email, and make a call, look within your circle for a connection. Work in that order and you will get results. 6) Never too busy. Time is a premium and you are a priority. Make certain that you treat yourself and others that way. If someone is reaching out to you, then you must respond in a timely fashion. Karma is everything. 7) Get to know the "team." Don't be an elitist and ignore the administrative assistant, reception, mailroom clerks, etc. They are the ones really running the company and are privy to information. Say hello to everyone and become allies with those in the "know" don't get confused with office trappings (corner office, title, expense account). 8) Be Wacky to stand out. Make your own rules. Send Christmas/Holiday cards in June; Valentine Cards in December. Set your own tone and be noticed. 9) Stay out of gossip. Don't get caught up not minding your business, which means not taking care of your money. If you have an opinion, speak directly to the respective party you have an "issue" with. 10) Dream vampires. I would not advise you to share your dream with people unless they are like - minded and posses the same energy as you. Record your dreams in a journal and talk with God. 11) Network and utilize your connections. I don't know why we always forget to tap into our database and circle. Join organizations to widen your networking base and utilize your friends/co-workers/affiliation to make the introduction for you. 12) Empower yourself and others. Real simple - give back to others from a sacred space and be counted. You can volunteer, make a contribution or just be there for someone in need. 13) Be consistent. If you provide service a certain way - continue to provide it that same way, only BETTER. 14) Be Viral. The Internet is a force and you must participate. For companies to prosper they must register with an online social network for connections (LINKEDIN, MySpace, Facebook, Twitter); blog; e-blast newsletters; webinars; and podcast. 15) Smile and look engaging. Caviar Moment: Get out there and be counted. Be purposeful, be poised, and be consistent. Excerpt taken from the book - ©You Want Caviar But Have Money For Chitlins - A Smart Do-It-Yourself- PR Guide For Those On A Budget. www.taylormademediapr.com; www.karentaylorbass.com. See http://theprdistinction.blogspot.com & www.PamPerryPRCoach.com too and www.ChocolatePagesNetwork.com! Research is KEY. Other than Google, where can a Writer Go to Find Information? I just finished my monthly Chocolate Pages Network PR Coaching call. The authors are off to a great start. Those who show up, go up! After I got off the call, I realized that a lot of what makes an author successful is getting the right resources they need and knowing where to find information. One of my favorite scriptures is Hosea 4:6"...My people are destroy for lack of knowledge..." Well, I don't want to see Christian authors destroy, so it is my mission and assignment to help feed them with knowledge. If I can't answer the question, I make it my business to know who to ask or where to go to get the information. ABOUT.COM. When you don’t know anything about a topic, search: www.about.com for hundreds of information links. AREA CODES. For a numerical listing of telephone area codes, go to: http://bennetyee.org/ucsd-pages/area.html. ASK-AN-EXPERT SITES. (1) Website: www.K12Science.org/askanexpert.html. (2) www.askanexpert.com; (3) www.askjeeves.com. (4) The Yearbook of Experts, Authorities, and Spokespersons: www.yearbook.com. BIOGRAPHICAL INFORMATION. (1) Website: www.biography.com. Short biographies on 25,000+ personalities. 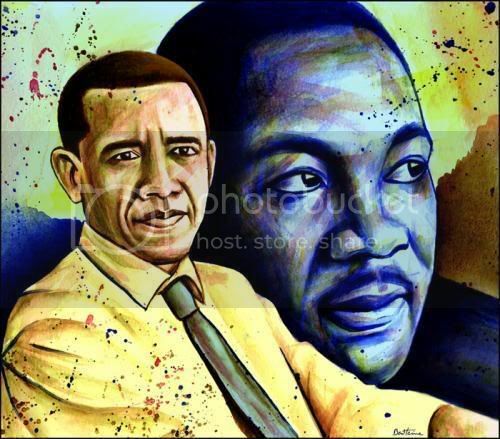 (2) This biographical dictionary covers more than 28,000 notable men and women who have shaped our world from ancient times to the present day: http://s9.com/biography. +BRITANNICA. Website: www.britannica.com. The Encyclopedia Britannica’s Website. Includes the Britannica blog, all of the articles in the Encyclopedia Britannica, a newsletter, and more. COUNTRIES. These sites give information on various countries of the world: (1) CIA’s World Factbook: www.cia.gov/cia/publications/factbook; (2) Library of Congress’s Portals to the World: www.loc.gov/rr/international/portals.html; (3) Country Reports: www.countryreports.org; (4) www.economist.com/countries. producers can be found at www.usc.edu/uscnews/newsroom/. (3) Also, check out: www.profnet.com. Site contains 14,000 expert profiles. FACT PORTAL. Colin Powell’s favorite site links to sources of information on a multitude of topics. Website: www.refdesk.com. FEDERAL CITIZEN INFORMATION CENTER SITES. (1) www.info.gov. Brochures on just about any subject. News, links, topics, resources, fun stuff, and more; (2) www.pueblo.gsa.gov. Information about anything and everything one could need. Free and low-cost booklets. HOLIDAYS/FESTIVALS. (1) To find information on holidays/festivals worldwide, visit: www.holidays.net, or (2)www.wilstar.com/holidays. HOW STUFF WORKS. (1) Website: www.howstuffworks.com. Explains how things work from vacuum cleaners to earthquakes, using text/pictures/animation. (2) See also: www.ehow.com. INFORMATION PLEASE. Website: www.InfoPlease.com. This 50-year-old print resource now available on the Internet. LOOKUPS. Amazing site with 30 databases for the demographic seeker: www.melissadata.com/Lookups. MAG PORTAL. Website: www.MagPortal.com. Lets you search for articles online simultaneously, without having to visit each magazine’s Website individually. PHONE BOOK SEARCH USA. Websites: (1) www.switchboard.com; (2) www.infobel.com/teldir. PUBLIC RECORDS. (1) To find public records online, go to: www.oatis.com. (2) To find financial information/background checks/birthdays/occupations of people, go to: www.pretrieve.com. REFERENCE SITES. List of free reference sites useful to writers and anyone looking for free information: www.writers-free-reference.com. +STINK LIT. Find books that reveal in graphic detail the underbelly of a particular locale, time period, or culture, such as poverty/dyspepsia/general squalor. (1) A Journal of the Plague Year by Daniel Defoe; (2) The Jungle by Upton Sinclair; (3) Down and Out in Paris and London by George Orwell. .com/group/writerswap. An information-exchange mailing list for writers doing research. See www.PamPerryPRCoach.com too and www.ChocolatePagesNetwork.com! The Chocolate Pages Network is 1,000 members strong and growing!! If you would like me to help you create greater success and fulfillment with your Book Marketing and PR 2009, I invite you to send me your most pressing question and join me for our regular 4th Monday CPN Mini-Coaching call. 'Ask YOUR PR Book Coach,' is a live, 55-minute, content-rich call where YOU determine the content and I answer as many questions (as humanly possible) about book marketing, online PR and author branding. Join us this Monday, send me questions thru www.PamPerryPRCoach.com or ask on the call! 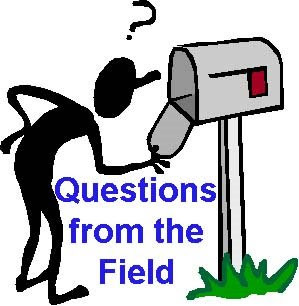 Send your questions to info@ministrymarketingsolutions.com or ask on the call! Dreams don't have an expiration date! click to watch video and read article! 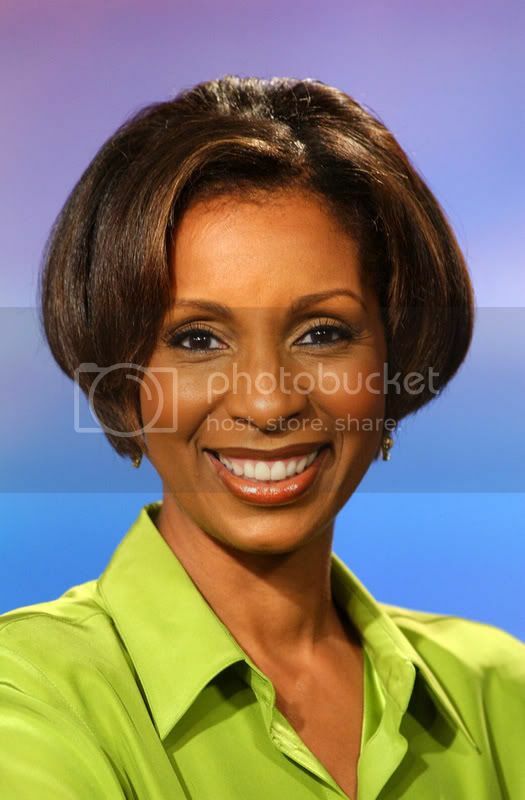 Andria Hall, a former anchor for CNN and WNBC, died on Monday after a two-year battle with breast cancer, according to Caribbean World News and the New York Association of Black Journalists. From 2001 to 2005, she hosted the old Faith and Values Media's Sunday morning program "America at Worship," airing on the Hallmark Channel, which for two hours would take viewers to various services around the country, producer Jeff Weber told Journal-isms. She also was a Director with YTB Travel International, an Illinois-based online travel company; and a Board Director of Counterpart Caribbean, a sustainable development organization, based in Barbados. Andria worked passionately as Executive Producer, Creator and Host of the radio programs, Andria Hall PROFILES! - The Walk As A Woman, and The Walk at Work: Committed to Your Calling and Your Career. Her radio broadcasts have been heard throughout the United States on The Sheridan Gospel Network, WBLS in New York, and WMCA and Salem Communications in New Jersey. Today, she can still be seen on www.faithstreams.com as host of America at Worship, which formerly aired on the Hallmark Channel. 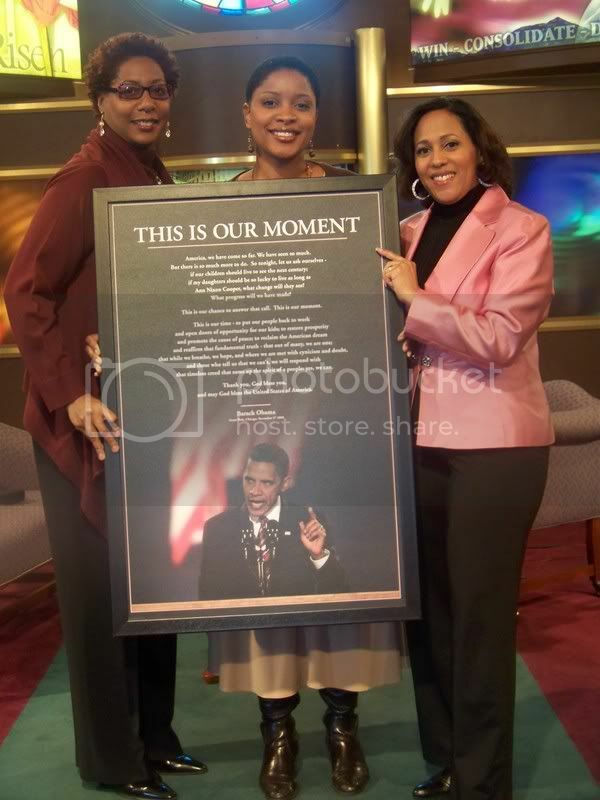 Andria held an Honorary Doctorate in Humane Letters from Virginia University of Lynchburg, and has been featured in The Washington Post, Essence, Ebony, Jet, Precious Times, Rolling Out, Michigan Chronicle and many other newspapers and publications across the country and the world. 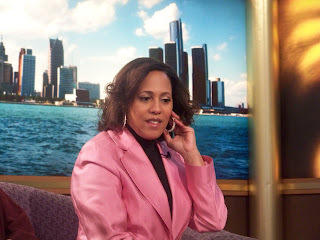 A former columnist for Gospel Today magazine, Andria also played a supporting role in the movie "The Good Son." In addition to winning the prestigious Emmy Award for Hosting, she has garnered numerous journalism awards. Andria was respected as a "faith and work" expert, showing that the two need not be separated but rather, when faith is lived out in one's everyday vocation, true success is achieved. Andria and her husband, Clayton Sizemore (CNN's Manager of Operations), made their home in New Jersey. She was predeceased by her grandparents, Evelyn and Walter Sellars, and Aurelia and Grant Hall. Celebrating her life, she leaves her mother Mabel Hall, father Reverend Willie J. Hall, husband Clayton Sizemore, three children Amber, Cameron and Chase, sister Akosua Yeboah, aunts Marjorie (Matthew) Carden, Catherine Eason and Geraldine Young, and a large group of devoted relatives and friends. A memorial service will be held on Friday, January 16, 2009 at Bethel Baptist Church in Brooklyn, New York (265 Bergen Street, NY 11217) from 6 p.m. to 8 p.m., while her viewing and celebration is scheduled for First Baptist Church of Lincoln Gardens in Somerset, New Jersey (771 Somerset Street, NJ 08873) on Saturday, January 17, 2009 starting at 8 a.m. In lieu of flowers, the family has asked well-wishers to make contributions to the SpeakEasy M.E.D.I.A. Foundation which Andria established to minister, mentor and mold the future generations. Contributions can be sent to SpeakEasy M.E.D.I.A. Foundation - 1812 Front Street, Scotch Plains, New Jersey 07076. For further information, email info@speakeasymedia.com. Andria Hall, seen through the lens of many TV cameras and heard through many microphones, has been called home to be with Jesus. Though I celebrate her homegoing to be with the Lord, I am so deeply sadden. You see, she was more than an award-winning journalist, former CNN anchor, television host and author - she was my friend. A true and trusted friend. The kind of friend that has "your back" through thick and thin. She pushed me to be my best. Her faith was an inspiration to me to really do Ministry Marketing Solutions. Her book, "The Walk at Work," literally changed my life. Andria, I believe, is one of those gifts that God gives you that happen ever so rare. Like a treasure. It was a blessing to know her - and everyone who has met her says the same thing! I remember the time we did her book tour in Detroit and she was always so gracious and never meeting a stranger. Our relationship grew over the last ten years - and she became like a big sister and mentor to me. When I thought I couldn't - she would tell me I could! When I felt like giving up, she would offer prayers of encouragement - and know just the right words to say to keep me going. She was the epitome of a fine Christian lady. A sister, friend that will be missed so much. yet they cannot fathom what God has done from beginning to end. That everyone may eat and drink, and find satisfaction in all his toil- this is the gift of God. 1. Get newsworthy info into the hands of the media. Make a habit of sending out releases on a regular basis about your events, special speakers, or anything impacting the community at large. Use a media directory or "Google" on the web to find names and contact information. 2. 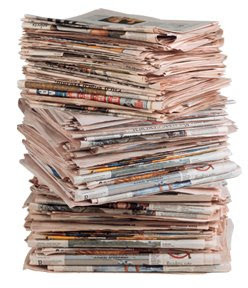 Get to know the beat of reporters of the daily and weekly newspapers. Position yourself with them as an accessible and reliable source and a key authority to be featured in future stories. 3. Read the dailies, weeklies. Respond to articles where you can take a stand on an issue while branding your ministry by writing a "Letter to Editor" or an "Op Ed" - Opinion Editorial. 4. Send out media releases for really intriguing or fascinating human interest stories by using news wire services. Wire services get wider distribution and can be picked up by national media via the web. 5. Place ads in local newspapers and monthly magazines. Have the ads consistent with your other marketing materials. 6. Become a regular advertiser in at least one publication. You build brand equity with that audience by advertising in one publication. They learn to trust you. Purchase ads in souvenir program books like the NAACP or SCLC to show your commitment to the community. 7. Feature bold graphics and a lot of white space in your newspaper and magazine ads. Keep copy to a minimum. Steer people to your web site. Color commands attention and adds impact. It also gets better ad placement in newspapers. 8. Supply media with well-written and professionally developed press kits. Include press releases (the who, what, when, where, how and why), fact sheets, bios, photo, brochure, annual reports and news clips. Suggest a story idea in the cover letter. Use the industry format for releases to improve your chances of gaining publicity. 9. Expect very little communication back from editors. They are very busy every day with tons of lead for stories. Assign an intern or team member to follow up by phone, email, or both. 10. Read any and all publications you can. Note stories that deal with issues important to your ministry. Add that reporter to your media contact list to send them future releases. The best media lists are the ones you personally create and are familiar with the reporter's work and style. 11. Send out thank you notes to reporters who feature you in stories. They will remember your personal touch and will keep you in mind as a good source in the future. 12. Assign a photographer to take photos at ALL events where you are participating. Releasing the photos to the media after an event is called Post-Publicity. Send the photo with a brief description of the event. Identify the people in the photo with a label on the back. 13. Realize that newspapers always need good photos. Most black newspapers love to chronicle events in the community. Pam Perry is a ministry marketing pioneer and expert in the African-American Christian market and the author of "Synergy Energy: How to Use the Power of Partnerships to Market Your Book, Grow Your Business and Brand Your Ministry." For more information, go to www.PamPerryPR.com and get the free MP3 and more PR tips. Let your gift shine in 2009! Do you have a helpful how-to, an inspiring memoir or an intriguing novel in your heart? Are you clueless about how to get started as a Christian author? Have you written a good book but want to make it better? If your answer to any of these questions is yes, then this is the seminar for you! *The Anatomy of A Book - Kimberley Brooks, Essence Best Selling author of He's Fine, But Is He Saved? Black History Month is coming up - and it's a good thing because that's when the big push on black books is really on. 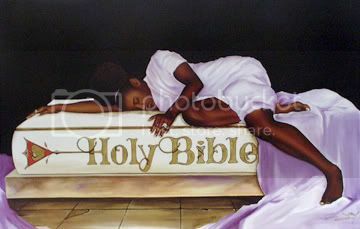 That's when most black books are published by main stream publishers and even the trade pubs like Publishers Weekly and Christian Retailing have special sections or pages dedicated to the new black books! WOW! But if you haven't notice, black book stores are hurting! We need our urban bookstores - if you're an author, you really need support them - if you want them to be around for your book signings. But if the big publishers aren't pushing the customers into the urban stores, how do book stores create and keep traffic all year long? 1. Pray. Have a “prayer request” box in your store so that customers can fill out prayer requests and every day have someone on staff pull out the requests and pray over them. Also, pray at least once a week as a team. Personal pray is a “given” but corporate prayer will make the major difference in your business. 2. Have a mentor or business coach. You either learn by mistakes or mentors. Mentors are better. Find someone who has traveled down the road a bit farther than you and seek their advice, counsel and let them be your sounding board of new ideas. They may even share their “secrets” with you. It’s not what you know, but who you know. Recommend: www.90dayplan.com – Biz Coach Andrew Morrison. 3. Network. Become a savvy “networker” at conferences, church events & trade shows. Develop relationships. Don’t just collect business cards – ask them if you can keep in touch. Then add them to your database immediately. Eblasts are great. It’s called viral marketing – it spreads like virus. Have a system like Constant Contact to store and retrieve your names/contacts. 4. Engage in Continual Training. Don’t be destroyed by lack of knowledge. Look for business development training at local colleges, trade associations or through the Chamber of Commerce. Sign up for webinars or tele-seminars over the internet with leading business consultants and coaches. Read the trade publications and other magazines like Black Enterprise. 5. Read up on what other successful stores are doing. Go to their websites. Google them. Modify what they are doing to fit your store. Send them a note if you are really impressed by their success. 6. Become more customer focused. Hold regular seminars or meetings for customers. Become a “go to” person and location for them. Survey your customers frequently. Ask them what they like and how you can better serve them. Ask them what media they read, listen to and how they get their news and information – and you target those media for advertising and press releases. 7. Brand. Take advantage of social networks like myspace or youtube (video tape & post book-signings of authors) to get people talking about your store. Coordinate your image: make sure your voice message, signage, ads & staff reflect your overall store image. Work on consistent details to build brand equity. 8. Read “Pour Your Heart Into It” by Howard Schultz. Talks about how STARBUCKS built a company (brand) one cup at a time. From one store to more than 2,000 stores nationwide yet has maintained its commitment to product, service excellence and employee satisfaction. 9. Set up a Community Advisory Board. Have church leaders, media friends or loyal customers who will champion what you do in the community. They will be your “eyes and ears” in the community you serve and will be act like a “customer evangelist” bringing others into your store. Reward them with free books and special recognition. 10. Apply at least ½ the information you learn at CBA/ICRS and from other conferences, books and articles you read. You’ll be ahead of the game for sure. As writers, you'd think we would naturally want to write and share with others. You'd think so, but some of us need some urging, pushing, or maybe even a touch of confidence. That is what I need and blogging is one of the tools that not only got me started but also boosted my confidence. Many of us may not be aware of the medium of blogging and what a powerful tool it can be for us as Christian writers. Blogging can be used by just about anyone, but it is especially good for writers. As a person who was slow to admit that I was a “writer” blogging has been a jumping off place for me, a way of “testing the waters." Since I lacked confidence in myself when I first starting my journey as a writer I began by blogging. This actually stemmed from my love of journaling and after coming online I found the medium we know as a web log or online journal, more commonly referred to as a blog. It felt like journaling, but it involved typing, and other people actually read it. Unlike my journal which I hoped was always private. After months of blogging I received many words of encouragement and compliments about my writing via my blog. I even received a phone call from someone wanting to hire me to write for them. That was when it clicked for me. My writing was worth something. Since then, I have been writing for more than just a blog, but, my blog still holds great purpose. Blogging helps me as a Christian writer in many other ways, it gives me a place to write freely without having to have a purpose, it gives me a place to connect with my readers and it allows me to “practice” writing on a daily basis. All of these things are important,but connecting is one of the most important. You want your readers to connect with you more than just through your writing but also as a person. After all if they feel that they know you, can trust you, and like you then they are more likely to buy from you. Another thing that they will do is to tell others about you and your work, and as we all know one of the best forms of advertising is word of mouth. So, why not open your mouth through blogging and start the chatter? Alyssa Avant is a writer, author, speaker, talk show host and business owner. She is the founder of Beauty by Design Ministries, which is a ministry to girls, of all ages, and their moms. She also is the host of the Mom-Daughter Connection Radio Show and Podcast, which is a weekly radio talk show that caters to the needs of the mom-daughter relationship. Alyssa holds a Bachelor’s degree from the University of Mississippi in Psychology and a minor in English. 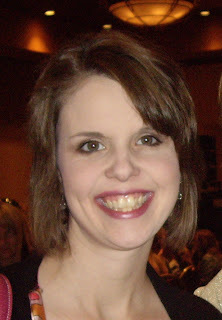 She currently publishes a monthly column in the North Mississippi Christian Family Magazine. In addition to her monthly column, Alyssa has published several journals and books, which are currently for sale. Pastor Andre Butler - Atlanta Live Interview - "How to Recession Proof YOUR Life"
A New Book coming by Pastor Andre Butler that will show you how to recession proof your life! I’ve made a decision: I’m not going to participate in the recession. You know, the recession that’s all over the news? The one that every newspaper reporter and TV correspondent is talking about? The one that half the world is panicked about? I simply decided I’m not going to join them. If they want to wallow in recession, that’s up to them—but I’m not going to participate. Recession? I’ve decided to just say no. Instead, I’m spending my time doing three things. First, I’m making my house recession proof. Second, I’m preparing for God to bring increase in every area of my life. And third, I’m writing this book to tell you why you don’t have to participate in the recession, either—and to show you exactly how to recession-proof your own house. Please understand I’m not denying that the world is in bad shape economically. It’s happening all around us. The world is going through a deep financial crisis because the United States is going through a financial crisis. There’s a mortgage crisis and a credit crisis. The stock market is on a roller coaster. People are struggling, losing their jobs, their retirements, their savings and their homes. They’re worried about their IRAs, their 401Ks and their HSAs. It’s no wonder that most people are afraid. We, however, are not “most people.” God called us a peculiar people, a people set apart. While the world goes through a recession, as followers of Jesus we don’t have to. While the world caves in to fear, we know “God hath not given us the spirit of fear; but of power, and of love, and of a sound mind” (see 2 Timothy 1:7 KJV). Financial ruin and the fear that accompanies it can happen all around us, but they don’t have to happen to us. Instead we can look and see that the wealth of the sinner is getting ready to come into the hands of the just. This is not only for our benefit; it is part of God’s plan to expand His Kingdom to the ends of the earth. Someone has to finance it and who better to do that than God’s people? see www.AndreButler.tv and sign up to get FREE encouragement videos and alerts about his book tour.